No matter what is driven over these guns they will hit their mark. 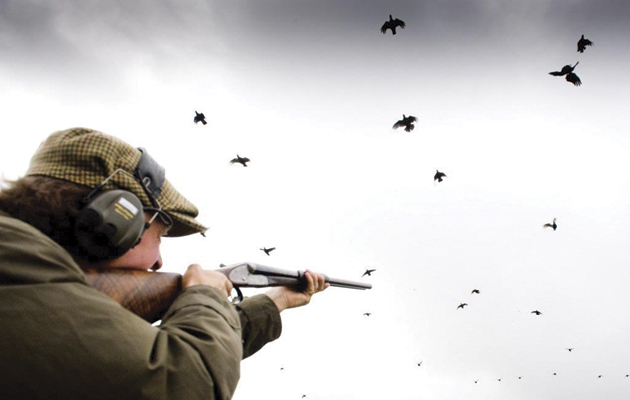 The all rounders are as comfortable with walked up species days as they are with the big driven days and clays too. Fanjul shoots everything, everywhere with a variety of over-and-unders. Little will inch past these 10 all rounders. Whether walking up a foreshore, after high pheasants or just something feathered and wild you want one of the all rounders as a shooting companion. Who else is part of our top shots 2015 list? Endlessly enthusiastic, Dashwood is in hot pursuit of game all year, from double-figure sewin to monstrous boar. He’d admit that he’s no high-bird specialist but if it’s wild, feathered and within 45yd we’d be amazed if it did not fall to his shot. And when it comes to woodcock, he’s had more doubles than a Scot at Hogmanay. Sir Edward Dashwood is endlessly enthusiastic. 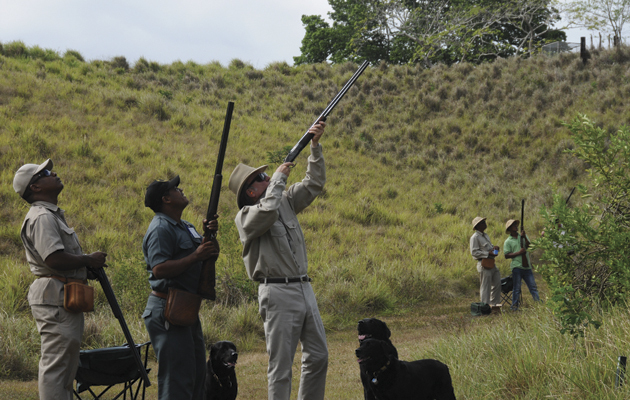 Fanjul has a passion for British game-shooting. “From the start of the British grouse season to the end of the American quail season in April, he will be shooting five to six times a week somewhere in the world: grouse at Knaresdale, pheasants at Alnwick, partridges in Spain, duck in Italy or quail in Florida,” we’re told. Uses a variety of over-and-unders and has a kennel of labs and English pointers. “A complete Anglophile”, he serves elevenses at his shoot in Florida from a 1953 Rolls Royce shooting brake. Last December, Faulds an-nounced his retirement from competitive shooting after a career that included five Olympic appearances, culminating in an Olympic gold medal in 2000. That’s not good news for quarry species, as Faulds will now be able to concentrate entirely on game. High pheasants, late grouse, February pigeon – Faulds excels at them all. The managing director of EJ Churchill seemed to pop up everywhere last season, from the North Yorkshire moors to the Welsh high-bird shoots. As the old saw has it, practice makes perfect – and Fenwick’s getting a lot of practice, while running the shop with boundless energy. We suspect an excess of Lucozade and/or hidden Duracell batteries. 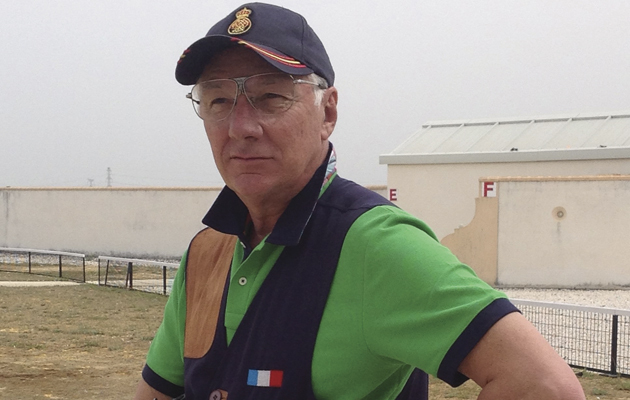 The French “Silver Fox” is considered his country’s “top game-shot” who “simply never misses” with his 30in Berettas, choked full and full and fuelled with 36g of No 4s. We were worried, naturally, by a reference from one admirer to an “impeccable dress sense” but were reassured by the fact he’s so good he’s sponsored by Beretta. The French silver fox is France’s top game shot. One of Percy’s endearing traits is his willingness to admit when he’s off form (a modesty somewhat lacking in some other top shots). He freely admits in his book, Field of Dreams, to having been “monstered” by some November pigeon and “getting through the first slab without many more than a gamebag full”. But that doesn’t happen often and his usual form is such that we are genuinely surprised when he misses. Francis Stafford remains at the top of his and everyone else’s game, whether it’s high pheasants, grouse or English partridges. Performed flawlessly at the Duke of Norfolk’s wild-grey day last October, tumbling rights-and-lefts while watched by a dolly mixture of sporting hounds. “One of the most stylish shots you’ll ever be privileged to witness,” says an admirer. Lord Stafford is “one of the most stylish shots you’ll ever be privileged to witness”. An extremely experienced hand, who sees thousands of people shoot every year, had no hesitation in naming Ward as, “without doubt, the best all-round game-shot”. 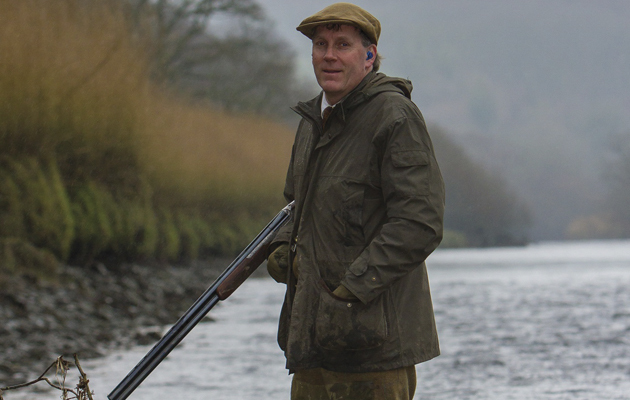 “Shooting at Prescombe he was killing everything at a ratio of under 2 for 1.” Part of his success is due to his precise judgment of range: he does not address birds that he is not completely confident of killing cleanly. Not much seems to escape Zoll, whether it’s Englishmen on his syndicate’s wild-game shoot in Norfolk, driven grouse, wigeon on the Wash foreshore or pigeon over chopped maize. Always sharp-set, he was part of a three-man mooch on 30 January that bagged 45 head of 14 species without really trying.